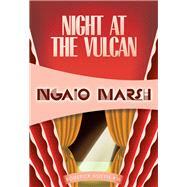 Ngaio Marsh, born Edith Ngaio Marsh in 1895, grew up in Christchurch, New Zealand. She wrote 32 mystery novels between 1934 and 1982, earning her widespread acclaim and comparisons to Agatha Christie, Dorothy Sayers, and Margery Allingham. In addition to writing, she pursued her passion for theater and directed a number of plays as a member of the University of Canterbury Drama Society. Her Shakespearian productions were highly praised, and many of her mystery novels reflect her interest in theater, with drama-centered plots and characters. She also wrote plays, essays, and an autobiography titled Black Beech and Honeydew. In 1966 she was named Dame Commander of the Order of the British Empire for her accomplishments in the arts, and in 1978 she was named Grand Master by the Mystery Writers of America. Dame Ngaio Marsh split her time between New Zealand and the UK, and died in Christchurch in 1982. Her home there is now a museum.